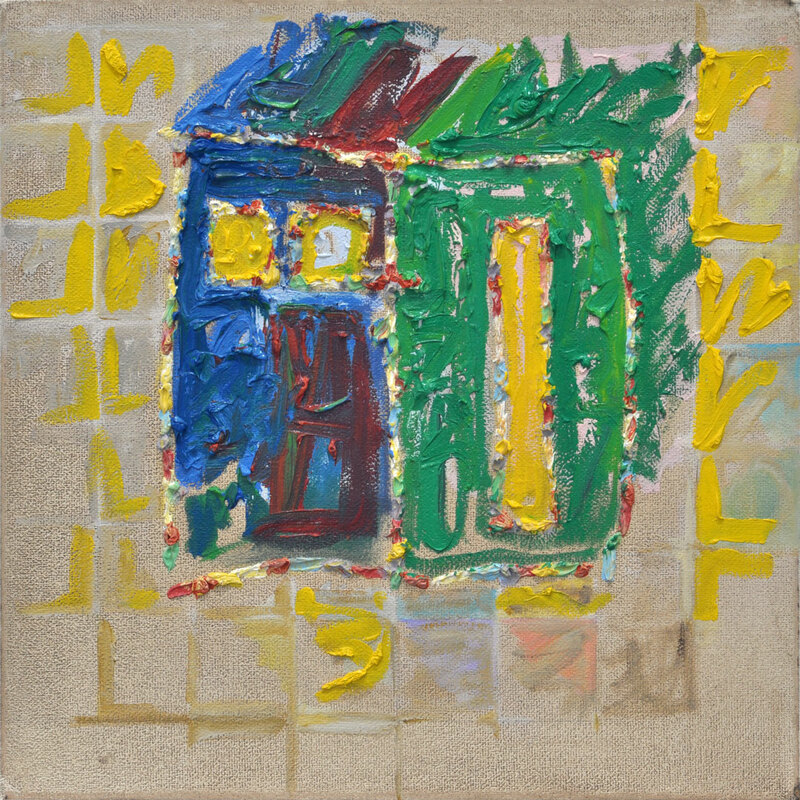 In his latest exhibit, titled Doors/Windows, Al Cruz demonstrates his and the viewer’s enjoyment of painting, just like in Matthew Higgs’ project, “Art is to Enjoy,” in which the British artist focuses on both the physicality of his subjects and the way they are received by the viewer. 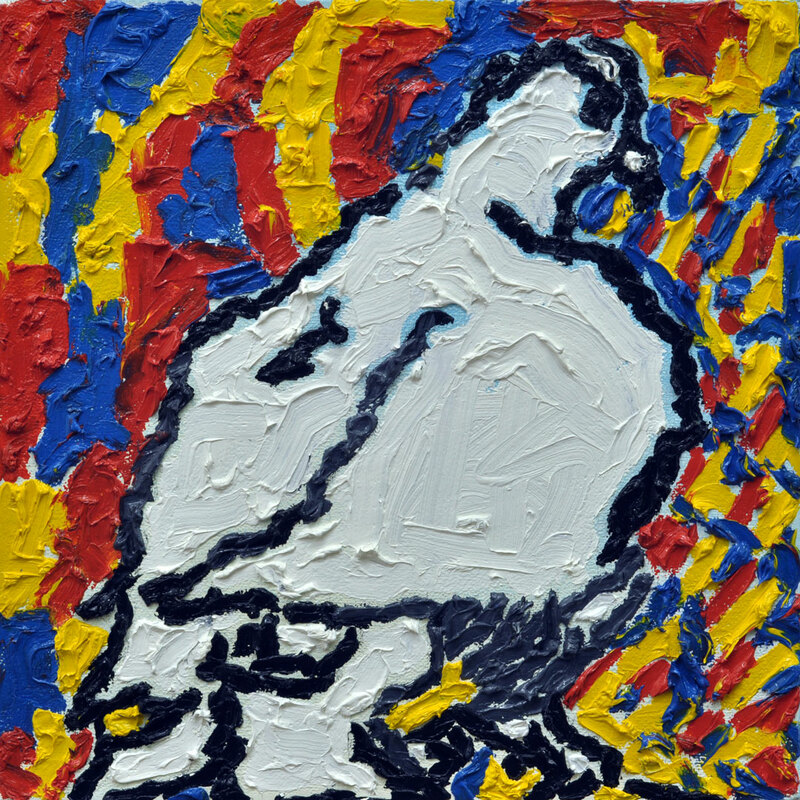 “The exhibit is about drawings, doodles/paintings, spaces, spaces as container of ideas, spaces as being private and public, spaces that were visited, revisited, and unvisited, unknown, unseen spaces, spaces that are not meant to be open, sacred spaces, spaces that would rather be seen from a particular point of view, a fragment of a bigger space, places, boxes, painting as a form of a document, painting as painting and not anything else,” explains Cruz, whose ideas took form from computer doodles, using his index finger on the touchpad of his laptop, and gradually developed into full-scale paintings. It is not entirely a new approach for him. He recently worked on a piece that was based on a computer doodle based on a drawing, and done paintings with text written on a computer before, though his concepts for those were different. 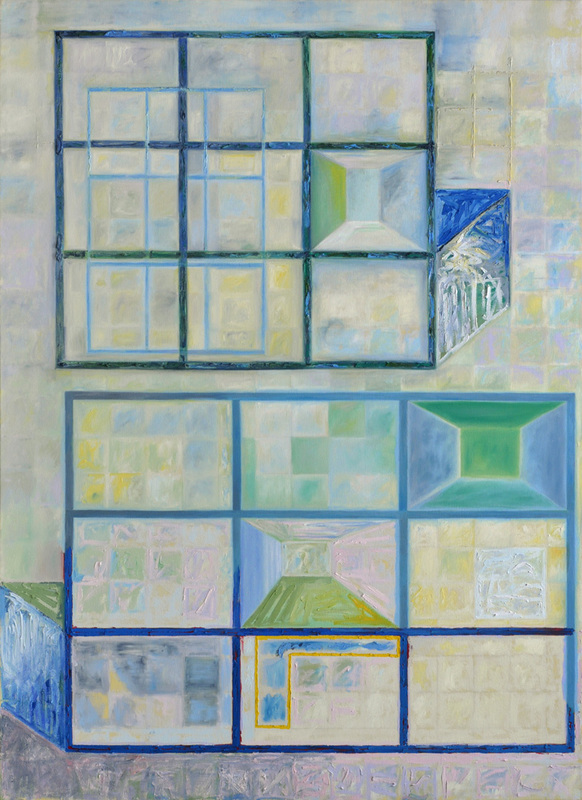 In Doors/Windows, Cruz lets us in on what he sees, such as in “Doodle 27/painting,” a 48 x 66 in. 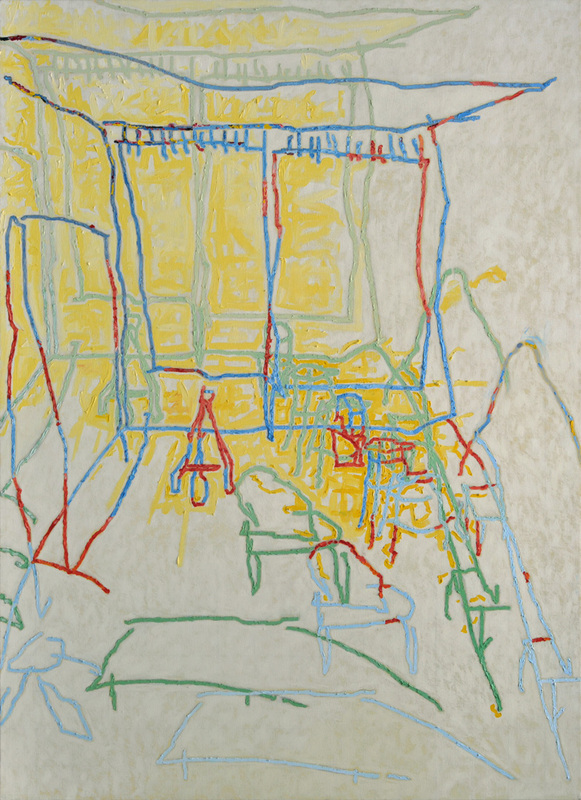 work done in oil on canvas, featuring his studio. 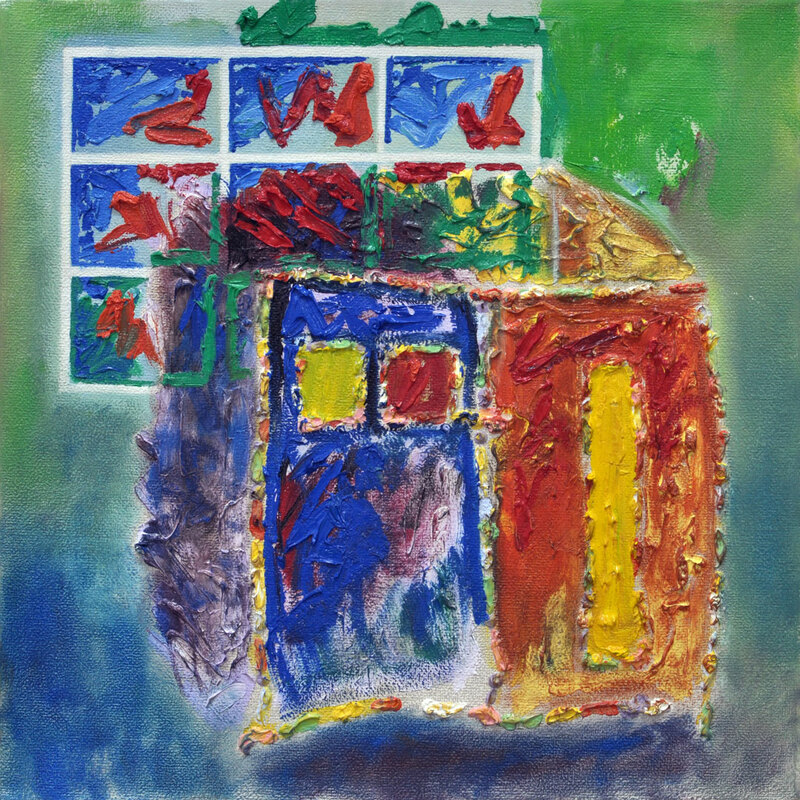 “The composition came out like that because I drew it the way I saw it – table, chair, kitchen stool, boxes filled with paints, curtains, windows, paintings, and easel.” Meanwhile, in “Doodle 27A/painting,” a 24 x 24 in. 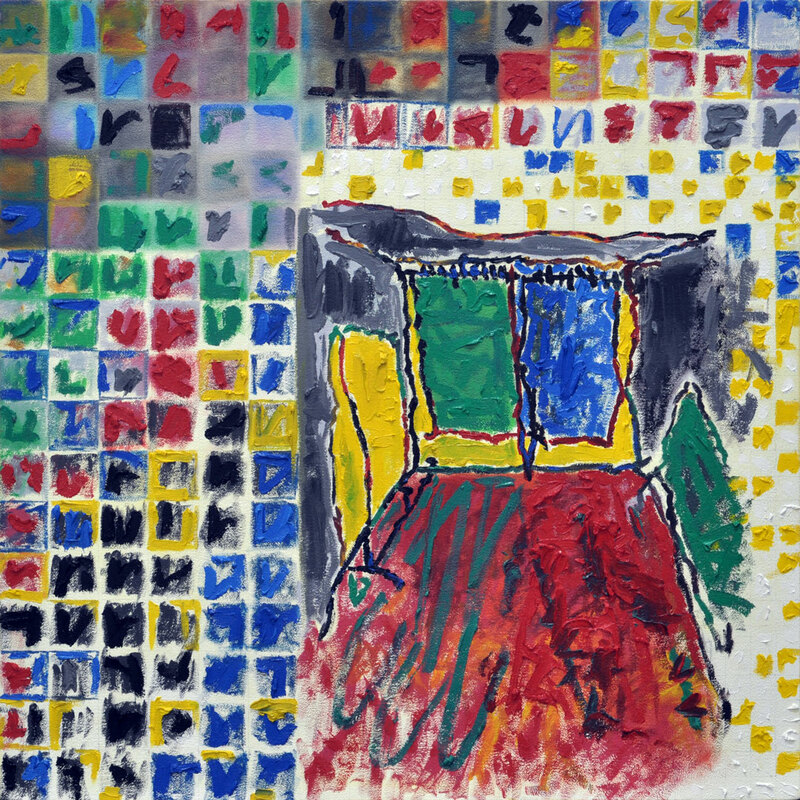 work in oil on canvas, he slightly changes the perspective, seeing the squares as boxes of paints and associating them with computer pixels. 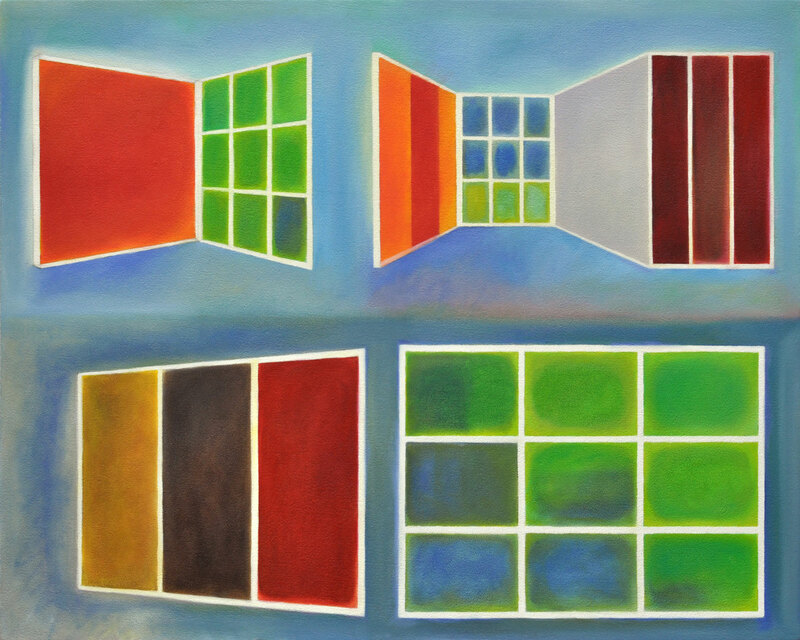 Then, in “Doodle 12/painting,” a 48 x 66 in. work in oil on canvas, Cruz shows us a glimpse of his creative process, using Adobe Photoshop to present a ready-made shape that was accidentally stretched when it was dragged to a blank paper.